Hoddesdon grew as a small coaching town on the main route from London to the north of England, situated on the A10 or Great Cambridge Road - a road you are certain to cover on your lessons, as it's a primary route into your nearest driving test centre, Enfield. Though, when you first start your driving lessons in Hoddesdon, you will be picking up the basics of driving in one of the many nursery areas in the town. St Margaret's Road is a prime location to come to terms with moving the car off and bringing it to a stop, being a long straight and generally quiet road. The Bridleway North and South area provides a good stepping stone to more complex junctions and driving hazards, with plenty of opportunity for left and right turns, dealing with mini-roundabouts and pedestrian crossings. Once you're more familiar and confident driving on larger roads, you'll drive down to the Enfield area with your driving instructor to cover the driving test route areas. These include the yellow box junction on Mollison Avenue, Monarch's Way and Abbey Road areas which are often included on the driving test. There's no need to fear though, our driving instructors know what they're doing and will fully prepare you for everything that will be covered by your driving test. 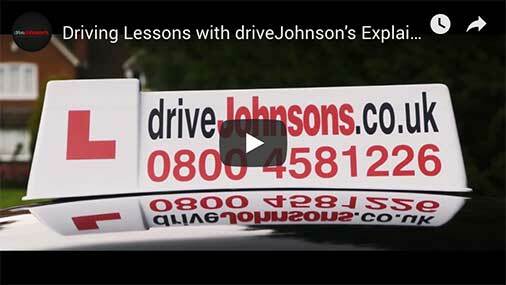 We'll soon get you on the road to becoming a first class driver.